Our round-up of this week’s news in brief. 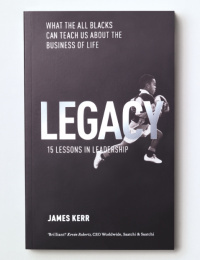 Aesop has designed the book Legacy, which tells the story of the All Blacks rugby team. The book is written by Aesop staff member James Kerr and the cover features a photograph by Nick Danziger. Bluemarlin has designed the Christmas packaging for soft drink Zeo. The consultancy designed the original Zeo branding and packaging, and the Christmas variant, Tingle Bells, uses a look inspired by Christmas jumpers. 999 has been appointed to create a new website for St George’s, a medical and healthcare higher education institution that forms part of the University of London. 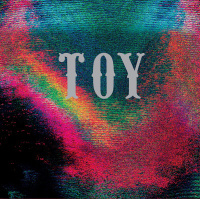 The site is due to launch in spring next year. German bakery chain Kamps in launching in London, with store designs by RPA:group. The outlet, which opens on Tottenham Court Road this month, will have a ‘distinctly modern European feel’, according to the consultancy. Online store and design collective Form & Glory has launched, opening with a focus on retailing prints inspired by sports including football, cycling and ping pong. Newcastle-based consultancy Wonder Stuff Studio has created the visual identity for new venue Lane7. The site in Newcastle features a restaurant, a bar, bowling lanes, two pool tables, ping-pong tables and a private karaoke room. Spiers + Major has worked on lighting design for Maggie’s Cancer Caring Centre in Newcastle. It was briefed to create a ‘welcoming, domestic ambience as a clear contrast to clinical hospital environments’. The consultancy has previously worked on centres in in Charing Cross, London and Lanarkshire. Simon Beckerman has designed the Depop app, which looks to merge Instagram-like community features with an eBay-like selling platform. 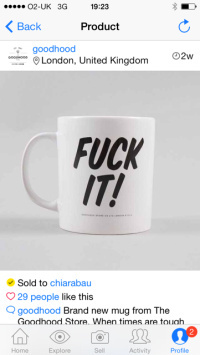 Users can buy design pieces at a set price directly from sellers including designers Katie Eary, who designs for Kanye West, and Goodhood. The Architecture Foundation and The Crown Estate, which manages a number of London buildings, is to commission two designers to create bespoke artworks for the lobby spaces of two buildings within St James, central London – 12 Charles II Street and 11 Waterloo Place. The shortlisted designers are Formafantasma, Simon Hassan, Lola Lely, Philippe Malouin, RCKa and Faye Toogood, with the winners announced in early 2014. Pearlfisher has designed the packaging for Lurpak’s new slow-churned butter brand. The designs are based around the ‘deliciously authentic’ proposition. Coley Porter Bell has created the name and visual identity for Sipstor, Pernod Ricard’s new ecommerce site. The site, which will be accompanied by a mobile app, will sell limited edition spirits with additional exclusives activated by scanning QR codes or product images at brand events. Central Saint Martins student Samuel Sheard has designed ‘toilet of the future’ the Wellbeing Toilet, as part of a competition judged by Wayen Hemingway. The design aims to reduce the risk of intestinal cancer and haemorrhoids, and diagnose medical conditions, according to CSM. Sun Branding Solutions has appointed Mark Eggleton, previously operations director, to the role of head of innovation. Purple Creative has created the packaging and photography for Glenfiddich Spirit of a Nation single malt Scotch whisky. The product was inspired by Glenfiddich¹s involvement in the Walking with the Wounded¹s South Pole Challenge 2013, and as such the design uses white-on-white typography ‘as if embossed in snow’. Central Saint Martins’ BA Product Design and MA Industrial Design courses have won the Queen’s Anniversary Prize for their ‘far-reaching contributions to the UK’s economy and social wellbeing’. Graduates from the courses include Bill Moggridge, who designed the first portable computer, Douglas Scott, responsible for the style of London’s iconic Routemaster bus, and Paul Priestman and Nigel Goode. Confederation Studio has created the branding for Shoot Advisory, a new offer that teaches users how to photograph its own creative work. Storm Brand Design has created a new identity for Pedigree Wholesale retail pet industry supplier. 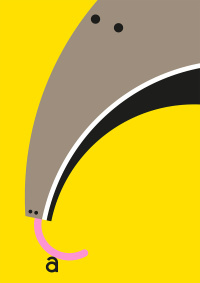 The new logo uses a speech bubble graphic to ‘symbolise the conversation between Pedigree and their customers’. WonderlandWPA has created new packaging for Homepride Flour. 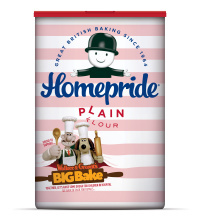 The new packs feature the Fred the Flour Grader character and use the Homepride red for plain flour, blue for self-raising colour palette. 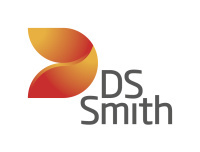 Unreal has created a new identity for packaging company DS Smith. The new branding unifies previous offers including DS packaging, DS Plastics and DS Recycling.